Renting a dumpster in Rock Island, Illinois is as easy as falling off a log when you contact the right dumpster rental or waste management company. First, you’ll want to contact a local firm and not waste your time with an internet waste broker. What’s an internet waste broker, you might ask. Well, a waste broker is a company that’s without trucks, drivers, and most of the time without morals. They pretend to be a local company, but wouldn’t be able to find Rock Island or your job site with the help of GPS. What they are good for is tricking local folks into paying extra for dumpster rental, then contacting a real local dumpster company and sub contraction the work. Problem is for the customer, they pay a middle man fee and often receive poor service. So go local, go direct, and save yourself some time, money, and frustration. So assuming, you’re doing business with a local waste management services company, you’ll only need to know a few things: What size dumpster do you require, where do you want it delivered, when do you want it delivered. These are fairly straightforward issues, but take some consideration to maximize your budget and effort. 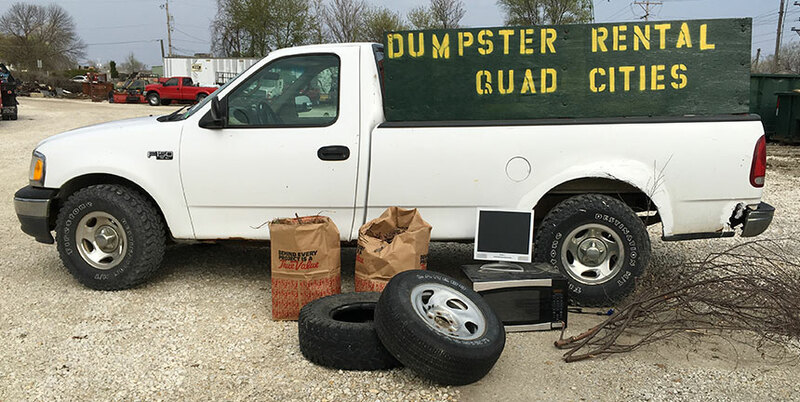 Let’s consider dumpster size for your Rock Island project- Dumpster Rental Quad Cities has several sizes of roll off dumpsters to be rented to folks like you. You might want to consider the volume of waste you’ll be tossing out in an effort to match that cup with the ideal size roll off. In other words, you might want to rent a dumpster which can hold all of your waste, rather than paying for several dumpsters to be hauled. Always best to order the larger size roll off bin rathe than having say the 6 or 10 yard sizes emptied two or three times. Of course, the amount of space you have available for the placement of our trash bins also effects the size you need to order. For example, if you can only have the equipment set in a tight spot back in your alley, you may have to settle for our 6 cubic yard dumpster. The world hasn’t been designed and constructed withy garbage trucks and dumpsters in mind, so not all dumpster sizes fit where we want them to. And then there’s heavy materials such as dirt, concrete, asphalt roofing shingles which can not be used to fill our larger 20 or 30 yard dumpsters as they would certainly overload our collection trucks. So if you’re removing your concrete steps, sidewalk, or driveway, you might want to rent a 10 yard dumpster ands have us save you some money by recycling that clean concrete. Call Dumpster Rental Quad Cities (563) 508-0388 for more information about concrete recycling. Waste management services in Rock Island, Illinois are provided by the private and public sectors. Take, for example, weekly curbside residential garbage collection- The City of Rock Island provides this service to its residents on a scheduled basis, but then delivers the garbage to a landfill which is operated by a private firm. Commercial waste generated by business in Rock Island is collected by a number of private waste haulers ranging from nation-wide waste hauling giant to smaller companies like Dumpster Rental Quad Cities. Recycling in the area is collected by municipalities and garbage companies and processed at both private and public material recovery facilities. Commercial cardboard and co-mingled rear-load and front-load routes are collected by several private waste haulers in the area for recyclable materials generated by Quad City business. The City of Rock Island provides recycling collection for its residents. There are several sanitary landfills in the area in Milan, East Moline, Buffalo, etc. These landfills are typically overseen by the Department of Natural Resources or the Environmental Protection Agency depending on their location. Today’s landfills are highly regulated with requirements relation to litter, erosion, groundwater, dust, surface waster, daily cover of garbage, etc. Commercial waste collection in Rock Island, Illinois is typically performed by private garbage collection companies under contract directly with area businesses. Most smaller commercial waste generators will enter into medium term contract to have their waste collected, transported, and buried at area landfills. These waste generators might also have private waste collection companies recycle some of the material which is typically segregated on site by the waste generator. Private waste companies have become increasingly efficient over the years at containerizing and collecting garbage. The weapon of choice for commercial waste collection is often the front-loading garbage truck which can collect about 800 loose containerized of commercial garbage per day. This efficient truck is part of a garbage collection system which incorporates small waste bins, usually ranging from 2 to 8 cubic yards, which are stored at customer sites. These trash bins are emptied by the front-loading trash truck on-site at the customers location. Trash is often compacted by using hydraulic rams/blades and the consolidated and compacted loads are subsequently transported to the landfill where they are buried and covered at the end of every day. Whether you’re referring to a small or large dumpster, the loading of the trash bin requires a safe operation. When loading a dumpster, personal protective gear should be worn. Safety goggles, hard hats, leather gloves, long sleeves, etc all play a role in protection from cuts, eye injuries, abrasions, etc. But personal protective gear is no substitute for common sense and experience. Garbage needs to be loaded in dumpsters uniformly and should not exceed the maximum full line marking, nor should it exceed the maximum weight allowance as indicated on the rented dumpster in Rock Island, Illinois. Is the waste hauling company a local firm? There are many companies on the web that aren’t local and some of them don’t even own a garbage truck or any dumpsters. Take our advice and shy away from these out of town companies as they will only disappoint you with their high prices and poor service. 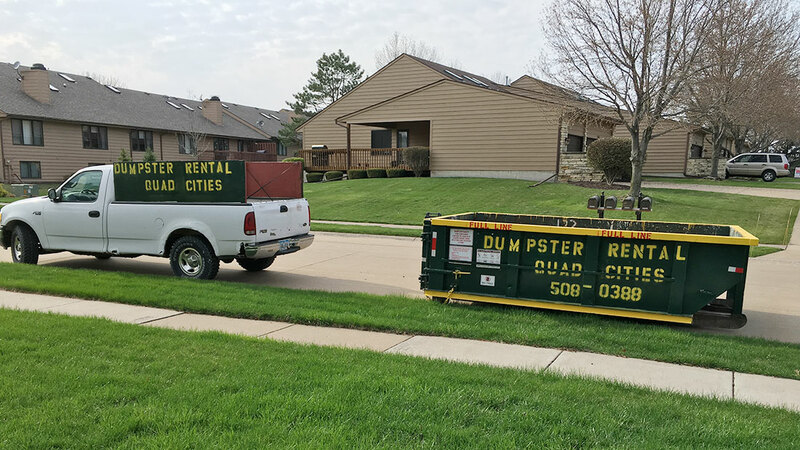 Your dumpster rental company in Rock Island, Illinois should be pleased to provide you with a FREE quote over the phone. Companies that charge for quotes or are reluctant to give you an instant over the phone quote are just too shady to do business with. There are junk removal companies who only want to give quotes for their services after they arrive at your home. This can be awkward when they ask for nearly $500 to collect a relatively small volume if junk. 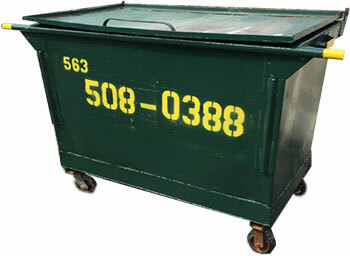 Dumpster Rental Quad Cities will give over the phone quotes for dumpster rental and indicative or rough estimates for junk removal jobs. Years of service are important for garbage collection companies just like they are important for employees of a business. A company doesn’t stay in business year after year by providing poor customer service (well most of them don’t). Dumpster Rental Quad Cities has delivered thousands of dumpster to Rock Island, Illinois. Our customers love us because we’re small enough to care about them, but large enough to serve them with quality dumpsters and trucks. When in doubt ask a neighbor, relative, co worker, or friend if they can recommend a good local dumpster rental company. Word of mouth recommendations from someone who you trust are golden. Chances are your friend or neighbor has no motive other than to be honest and help you with your project. Angie’s List, Better Business Bureau, Home Advisor, etc……well, don’t they get paid by someone? And how can they really screen contractors who they don’t really know, haven’t done work for them, don’t do business in the same areas, etc. Make your own decisions about who you trust, your relative/neighbor or an out of town entity that gets money from contractors/users. When it comes to dumpster rental prices for Rock Island, Illinois, several factors effect the prices. First of all, obviously the dumpster size has a bearing on the charge as typically larger dumpsters cost more to discharge at the landfill. But there are a number of other factors which effect the cost of providing dumpster rental service. Landfill tipping fees for example can cost more fro the area’s smaller haulers than the large waste services firms which might own their own landfills. And then there’s factors such as the distance from the customer’s location to the landfill. In theory, and usually in practice, the farther the distance from the landfill, the greater the transportation time and cost. Sometimes, the cost of renting a dumpster in Rock Island, Illinois is actually cheaper in the winter than it is in the summer. 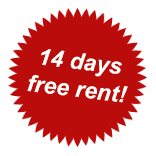 This is simply due to the laws of supply and demand as winter is usually a slower time for dumpster rental companies. During peak dumpster season, April through November, you might be lucky to get a dumpster delivered at any price. Dumpster rental for large industrial business might be a bit cheaper than it is for the one off residential user. The reasons for this are simple, a used of several hundred dumpster might just get a price break for the higher volume of business and revenue. Also, it is more cost effective to place a dumpster at a customer’s location when the garbage company can expect several hauls per week or month vs a customer who is expected to get a single haul.